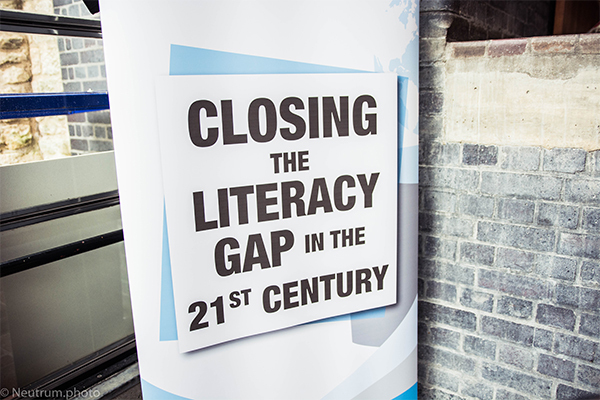 The World Literacy Summit once again took place in Oxford. The dates were from Sunday the 25th of March until Tuesday the 27th of March 2018. Registration took place both on Sunday evening at Trinity College (opposite the Sheldonian Theatre) and also at the Sheldonian Theatre. 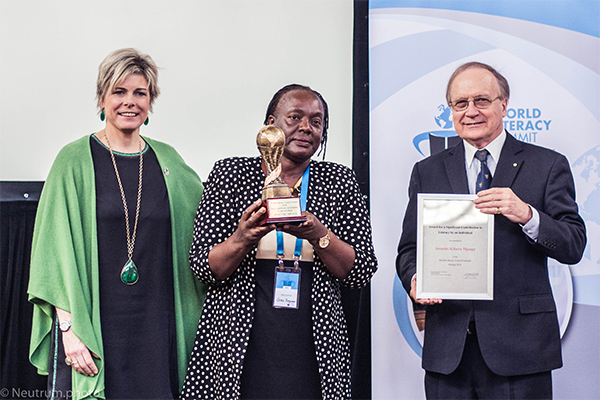 The opening ceremony commenced at 9:30am and included the presentation of the 2018 World Literacy Council Awards. 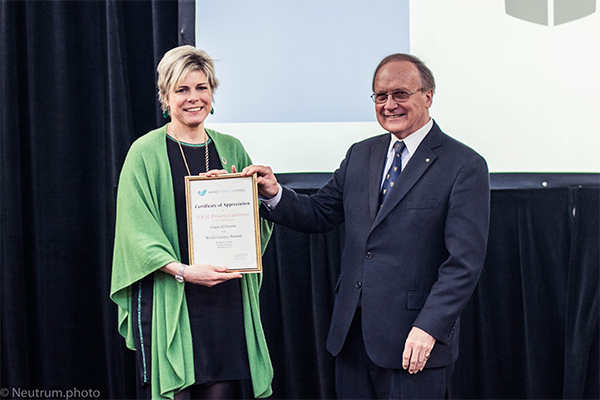 A feature of the 2018 Opening Ceremony was the Albert Schweitzer Medal and Lectureship which was awarded for the first time. This new award as well as providing a medal and cash prize provides the opportunity of a major lecture at the Oxford University College. The recipient was selected as someone in the tradition of Albert Schweitzer who has devoted her life to supporting people in the developing countries. The conference had both key note speakers on Monday the 26th and Tuesday the 27th in the Sheldonian Theatre and also an opportunity to hear a variety of papers that were given in the various lecture rooms at Trinity College which was immediately opposite the Sheldonian Theatre. A special reception was given at Trinity for the Award winners and there was a dinner at the Balliol College Hall. Whilst the World Literacy Summit always centres on literacy and the role it plays in improving peoples lives from year to year we identify a theme that is central at the last Summit we concentrated on the theme of “Literacy to End Poverty”. In 2018 we concentrated on the Empowering Aspect of Literacy and we have decided to adopt the theme of “Closing the literacy gap in the 21st Century”.